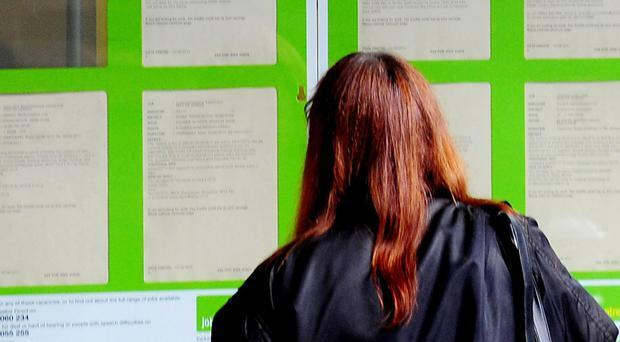 Restaurants and hotels across the UK are putting up more staff vacancy signs amid concerns that Brexit and high employment rates are limiting the availability of workers. Experts have warned the future of the hospitality industry lies with the flow of skilled labour from Europe and raised worries the impact of Brexit on foreign workers combined with record high employment is leaving positions unfilled. Ufi Ibrahim, chief executive of the British Hospitality Association, said: "The hospitality industry already has over 100,000 job vacancies at any given time and over 700,000 members of our 3.2 million workforce are from the EU. "Our industry recognises that immigration policy must change but, at a time when unemployment is at its lowest since 1975, any material and sudden change to the supply of workforce to the UK labour market would have severe consequences for the hospitality industry." He added: "We have been clear about the risks to the growth of our industry, the UK's fourth largest employer, if there is an abrupt end to freedom of movement from the EU and it is alarming that we are starting to see the effects now. "For example, restaurants are finding it increasingly difficult to hire leading chefs from Europe and beyond. We've had reports that owners have been forced to delay or abandon plans to open new restaurants due to the uncertainty surrounding the future rights of EU citizens in the UK. "This level of uncertainly is putting off much needed service industry workers and is now impacting investment decisions. This shortage isn't limited to European chefs but also applies to specialised chefs from India and China." Jobs website Adzuna said the hospitality sector has seen a 16.3% increase in advertised vacancies since the start of the year, from 44,542 openings in January to 51,880 in July, to meet summer demand. However hospitality vacancies are also up by more than a fifth on July last year as more Britons cope with unfavourable exchange rates by opting for staycations. Adzuna co-founder Doug Monro said: "More of us are swapping the Mediterranean for Margate and choosing to holiday closer to home, and as a result the hospitality industry is thriving. "The hospitality sector is a prime example of the importance of a clear-cut pro-migration strategy in order for the UK labour market to thrive. The skilled labour force from the EU has contributed and enhanced our talent pool in the UK to deliver good customer service." Last month the owner of fast-growing pizzeria Franco Manca said Brexit was already making it harder to recruit skilled staff in the UK. Fulham Shore, which also owns The Real Greek restaurants, said while the long-term effect of Brexit was still "unknown", it was already affecting the availability of "skilled European restaurant staff". David Page, the chairman of Fulham Shore, said: "The result of the EU referendum has created considerable uncertainty of immigration status of EU nationals." He added the group has been trying hard to mitigate these issues, by investing more in its human resources teams and by implanting new incentive schemes "designed to retain key individuals".